New York Painting Services has been providing painting services among many others, throughout New York and New Jersey since 2004. Experienced in commercial businesses and residential homes, we have become a reputable company that many return customers have come to rely on for premium results. New York Painting Services is fully insured and licensed in conjunction with having certified experts exposed to advanced training and years of experience under our belt. New York Painting Services takes advantage of exclusive professional grade materials, products, equipment and tools that our talented professionals used in all of our services to give each of our valuable customers the finest results. When it comes to your residential home, a fresh coat of paint can go a long way. Exterior and interior painting projects can make your home go from dull, drab and boring, to bold, beautiful and vibrant. With New York Painting Services, our professionals can execute your custom or unique design; and consult with you on options based on your likes and needs. Whether it is exterior or interior painting for your New York area residential home, New York Painting Services is the best in the business. Exterior residential painting is beneficial in a multitude of ways. Having a fresh coat is a barrier between the materials contributing to keeping your home intact. The paint shields the house from the elements and pests damage. A fresh coat can be very becoming to spice up home value and curb appeal. After time, the paint dulls, chips away, and exposes the raw materials, getting a fresh coat on your New Jersey, Manhattan, Brooklyn, New York and surrounding area home is a worthwhile investment. 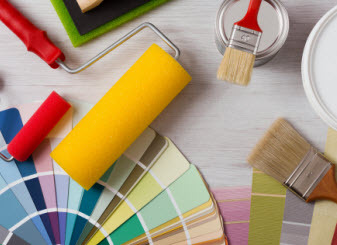 New York Painting Services can paint your abode’s exterior with the current modern trends, go with classic rejuvenation, or simply revamp the current paint hues to keep with the natural home’s motif. No matter your desires, New York Painting Services can make it happen. 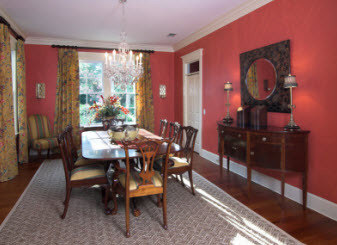 Residential interior painting is great way to invoke a little change into your home. With the versatility of colors, styles, designs, and application techniques, there are no limitations. New York Painting Services professionals can change the dynamic of any room in your home with a simple coordination of drastic colors or subtle hues, the possibilities are endless when you invest in New York Painting Services to perform an interior paint job in your New York or New Jersey home. With premium painting services, New York Painting Services ensures the finest quality of exterior and interior painting you can have. Our exterior and interior painting services have in depth steps that our talented professionals execute. Below is a general checklist you can expect with New York Painting Services. –	Painting Consultation. When New York Painting Services takes on your residential painting project, we discuss all the fine points and expectations you have, we come together with a contracted agreement with all the necessary details. –	Painting Preparation Work. Before any residential painting goes under way, the surfaces need to be prepped for a flawless paint job. New York Painting Services experts removes any peeling paint, blemishes and mild repairs imperative for superior results. –	Painting Protection. Once the surfaces are ready for primer and painting, New York Painting Services ensures all other areas are well protected to keep the drips and splatters off the unpainted areas. –	Priming and Painting. After all pertinent steps have been efficiently executed; New York Painting Services pros will prime and paint the exterior and/or interior of your residential home. –	Painting Inspection. New York Painting Services leading crew members inspects the entire residential painting project and makes any necessary adjustments if any are needed. –	Painting Cleanup. Next, New York Painting Services then conducts a thorough cleanup. –	Final Painting Inspection. Finally, when New York Painting Services feels the job is completed we have our appreciated sign off with satisfactory results. 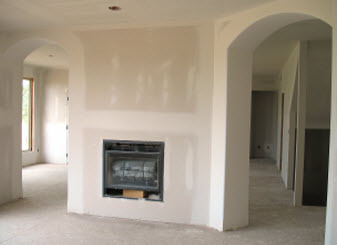 New York Painting Services is passionate about our work and prides ourselves on customer satisfaction. If you are looking for a residential painting service, hire the best, New York Painting Services. Be sure to save our contact information in your cell phone for future projects!